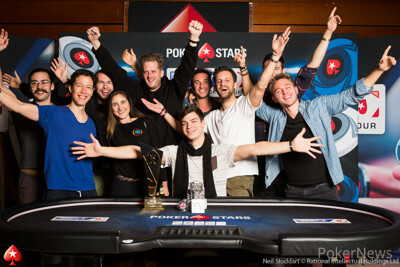 Another major poker tournament, another young German champion. 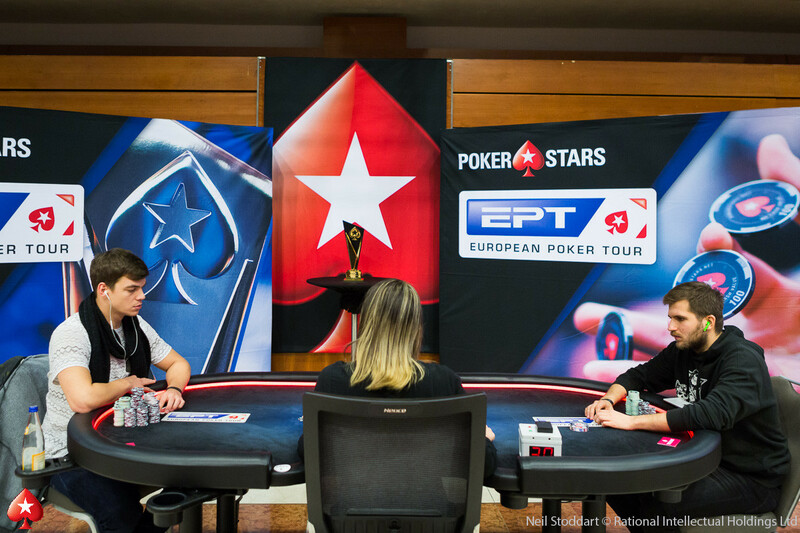 This time, Paul Michaelis was the man hailing from Deutschland to raise the trophy, doing so at 2018 European Poker Tour Prague €5,300 Main Event. 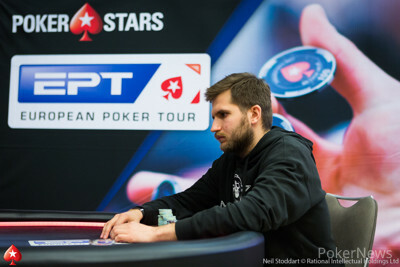 Michaelis took the lion's share of a three-way deal, earning €840,000 (~$950,000) along with a Platinum Pass to the 2019 PokerStars Players No-Limit Hold'em Championship valued at $30,000. "It feels pretty unreal," said Michaelis, who previously had just a bit over $800,000 in live cashes. "It's an unreal amount of money. Obviously due to swaps and backing, I only get to take a portion of this but it's still an unreal amount of money." 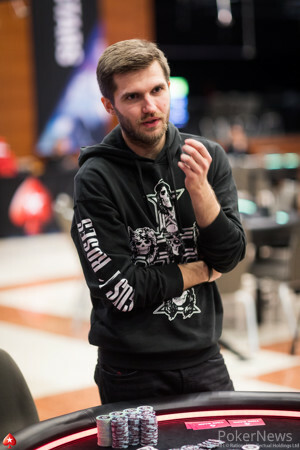 Per the terms of the deal, eventual second-place finisher Artem Kobylynskyi earned €571,910 while third-place Alexandr Merzhvinskii, who had more chips than Kobylynskyi, got €631,500. They got through a field of 1,174 entries to make it to the chop. 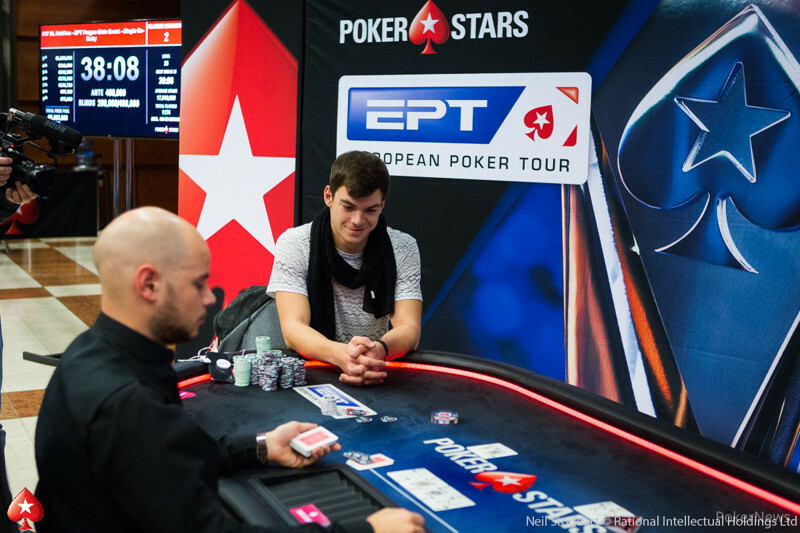 Michaelis made his second deep run in a row at a major PokerStars event in Prague. 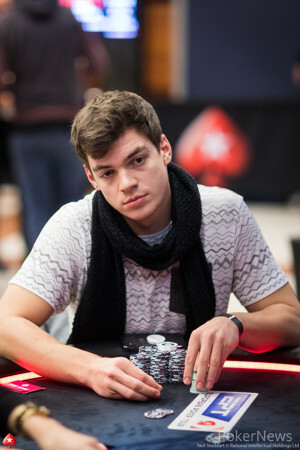 Last year, under the PokerStars Championship banner, Michaelis finished 28th for €18,900. 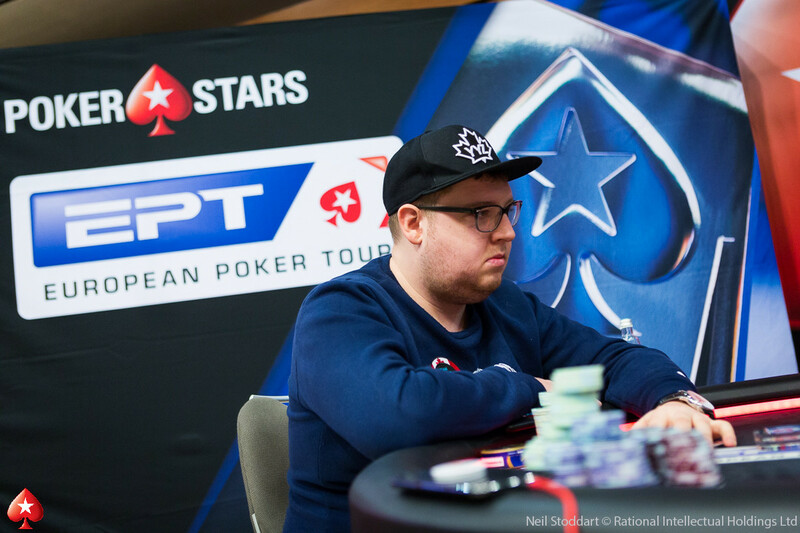 While 28th place in a field of 855 would make many a poker player quite pleased, Michaelis couldn't have been exactly thrilled considering he bagged the chip lead on two of the first three days, including heading into his bustout day. "Honestly, it was a little on my mind," he said of last year's fizzle out. "Especially when 28th place busted, I looked at the board and I was like, 'Got that one crossed out.'" Since that time, Michaelis has busied himself traveling the world and grinding the live international circuit, cashing in eight different countries. It hasn't exactly been a banner year financially to this point, with about $150,000 in cashes, but Michaelis said he still took something away from all the experience: an improved mindset. "I just feel even since a year ago, I have a lot more experience in these main event fields," he said. "I have a calmer approach than I had before." The German certainly needed that calm in the middle stages of the tournament, when he nursed a short stack for a considerable length of time. Entering the fourth day, he found himself just a little over 10 big blinds and sitting in 42nd place out of 44 remaining runners. After that, he got it in and doubled up to survive, a card rush hit. It was a rush from which he'd ultimately never look back as he entered each of the final two days with the chip lead. On Day 6, many poker fans following coverage were fixated not at the top of the counts, but the bottom, at the name ranking fifth of six. Parker Talbot, a Canadian online grinder who has built a huge following of over 90,000 on his Twitch stream, advanced to the final day with about 30 big blinds. Unfortunately for his many fans, Parker Talbot had a short Day 6. However, he'd be the first to bow out when, less an hour into the day and down to 15 big blinds, he jammed king-queen and failed to improve against the ace-nine of Laurynas Levinskas. Kobylynskyi would then bust Carlos Branco and surpass Michaelis for the lead. The remaining four players opted to pause the clock with Kobylynskyi and Michaelis well clear of Alexandr Merzhvinskii and Levinskas, on 25 and 12 big blinds, respectively. After about 15 minutes of negotiations, though, everyone headed back to the felt without a deal in place. Levinskas busted to Michaelis' turned set of eights soon after that, and then Michaelis won the pot that put him back in the lead for good. He flopped the nut straight in a limped battle of the blinds against Kobylynskyi and got three streets of value to surpass 20 million out of 35 million in play. Merzhvinskii would nudge his way past Kobylynskyi before the second round of deal talk, which wound up more successful than the first. The Russian would then lose several pots while Kobylynskyi chipped up, grinding to within striking distance of Michaelis by the time the German polished off Merzhvinskii. Michaelis led only 2-1 but heads-up proved to nonetheless be a short affair. A cooler ended things when Michaelis picked up jacks against Kobylynskyi's tens and won unimproved. Although it wasn't quite wire to wire, Michaelis admitted it felt like as smooth and dominant as it looked. "Once you're such a big chip leader, it's the nature of the game that you can put so much pressure that it goes this way or it goes wrong," he said. It definitely didn't go wrong for Michaelis. Instead, he erased the memory of his near miss in 2017, capping off 2018 by taking down the final EPT event of the year and doubling his career live cashes. He could hardly imagine a way for it to go more right. Paul Michaelis limped in on the button and snap-called when Artem Kobylynskyi jammed for around 6 million. The on the felt meant Kobylynskyi's outs flipped from tens to jacks, and the river was a . "Ja!" came a shout from the German rail as the players shook hands to end the tournament. Paul Michaelis called on the button and Artem Kobylynskyi opted to check. The flop came , Kobylynskyi check-called the 300,000 bet of Michaelis. The turn was the , Kobylynskyi checked again. Michaelis put a bet of 1,300,000 over the line and Kobylynskyi called once more. The river completed the board with the , Kobylynskyi checked for the last time. Michaelis pushed 4,600,000 in as a bet and Kobylynskyi confirmed the amount with the dealer. Kobylynskyi counted out his own stack and then made the call. Michaelis tabled for the turned straight and that was enough to scoop the huge pot. In a limped pot, both Paul Michaelis and Artem Kobylynskyi checked down to the river. Michaelis bet 800,000 and Kobylynskyi made it 2.3 million. Michaelis stretched and looked puzzled before flicking in a calling chip, but he couldn't beat for queens up. Paul Michaelis raised to 600,000 from the button and Artem Kobylynskyi called. They both checked through the flop to the on the turn. Kobylynskyi bet 800,000 and Michaelis called. The river completed the board with the , Kobylynskyi now fired a bet out for 1,200,000. Michaelis hesitated for a few seconds but ended up flicking in the chip for the call and paying up when Kobylynskyi tabled . Artem Kobylynskyi opened for 600,000 on the button and Paul Michaelis called. Both players checked the flop and the board read and Michaelis bet 800,000. Kobylynskyi called. The river was an and Michaelis checked. Kobylynskyi bet 2 million and Michaelis quickly called. Kobylynskyi showed for a missed draw and Michaelis had .